Just Another Day...: 20 Weeks! 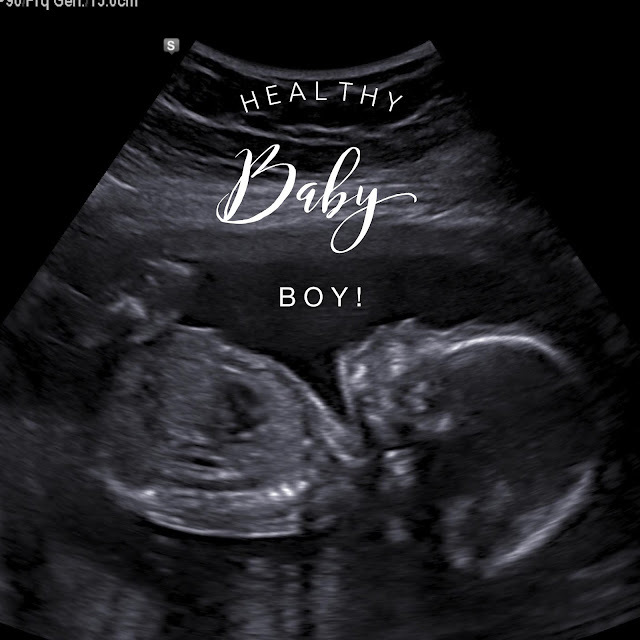 On Monday, January 30th, we had our 20 week full anatomy ultrasound for baby #4 to make sure everything looked good. Our ultrasound tech was awesome and talked us through everything. We, of course, started with baby boy's heart and the first thing we clearly saw was FOUR CHAMBERS! Praise the Lord!!! The tech continued to check all of the standard "stuff" and everything. looked. perfect. I can just hardly believe I'm half-way through this pregnancy already! I'm getting more and more anxious to meet this little guy. There's so much to do before his arrival, though, so I'm thankful to still have another 19 or so weeks ahead of me!